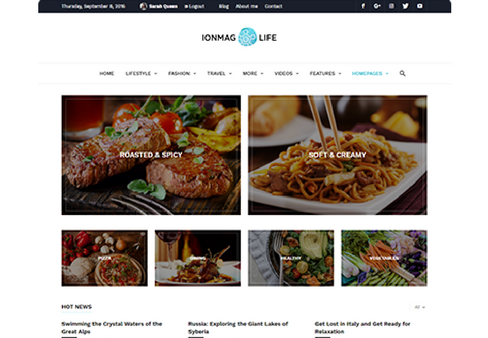 ionMag is a modern and dynamic free news WordPress theme designed for your blog, newspaper, magazine, and reviews website. With an elegant design, clean coding, responsive and retina ready layouts, a spectacular drag and drop page builder, adaptive blocks, custom widgets, multiple headers, footer and post templates, intelligent ads, outstanding support, building a professional website for the news industry is now easy. You don’t need coding skills because ionMag comes with predefined demos and layouts to help you shape your website the way you have always dreamed of. 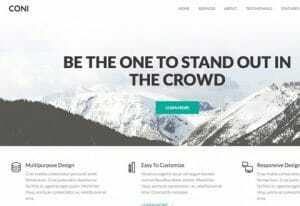 The theme brings you a powerful drag and drop page builder – tagDiv Composer that allows you to easily create unique structures for your pages on the frontend of the website. ionMag is designed to give you the most intelligent ad system you have ever met. With six predefined ad spots and five custom spots, you can monetize the site without effort. Every ad location has a box where you can put the code. For Google AdSense ads, the theme will automatically adjust the ad size and make it responsive. You don’t have to spend a lot of time setting the ads up. The theme allows you to focus on the most important thing, content creation.